A few weeks ago, I observed a Wednesday evening program at a church nearby. Eleven exuberant, giggling students sat around the craft table, creating sheep out of popsicle sticks, cotton balls, and glue. As each child finished, the gluey sheep were laid in the center of the table to dry. The craft leader, a seasoned teacher, had several projects ready for the children so they could keep busy until worship time began. One of the choices she provided was modeling clay. While other students migrated to the floor to play a game or read a book, one student chose the clay, and remained at the table. This boy had been quite vocal during the story and craft time, and appeared to be easily distracted…until he took the clay. 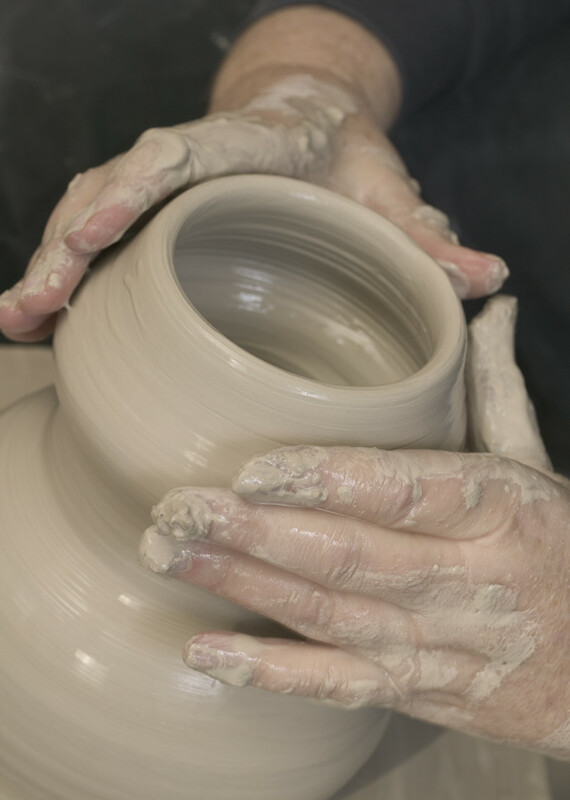 His chubby hands quickly warmed up the clay; he purposely stretched and shaped it as it became pliable. Other students floated in and out of the room, laughing and chatting. This little guy never noticed their coming and going, so focused was he. I was mesmerized by his sudden passion for play-dough, and watched with great interest as he began molding a work of art. The teacher finally lured him away from the clay with the promise that he could continue his creation the following week (and reminding him that his vocal talents were urgently needed at worship time.) He carefully laid the wingless dove on the radiator, and gave it a pat and a smile as he left for worship. I hope that I can be as focused and creative with my work as this young potter. And, I hope I can be as moldable as that clay while God works on me. This entry was posted in Growing by katiewetherbee. Bookmark the permalink.